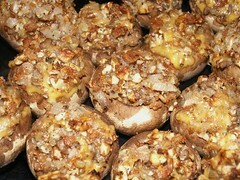 Stuffed mushrooms are one of my favorites! They do look really good, and of course, since they are a vegetable, they must be really low in calories, right? They are vegetables, arent they?